living in rwanda // visiting churches and delivering goats — likemorningsun photography // wedding & portrait photography for adventurous souls. On Monday we visited a few churches and talked to some pastors who attended CALM’s Pastor Training. The training helps teach and equip pastor’s to better study, interpret, and deliver the teachings from the Bible. The first church we visited also had a preschool, and all of the kids were there to greet us. They came marching down the road, clapping, chanting--“Muzungu (white person) I love you,” and singing songs for us. This church is still in the process of being built. We had our meeting outside in the foundation of the church. If it is raining, they meet inside the small building behind the foundation--although not everyone can fit inside. The choir at each church sang and danced for us, we prayed, and the pastor shared a little bit about what God is doing in their church, and how the pastor training helped them. There were lots of kids outside the churches who wanted to say hi to us. We had suckers to hand out to them, and they loved it! 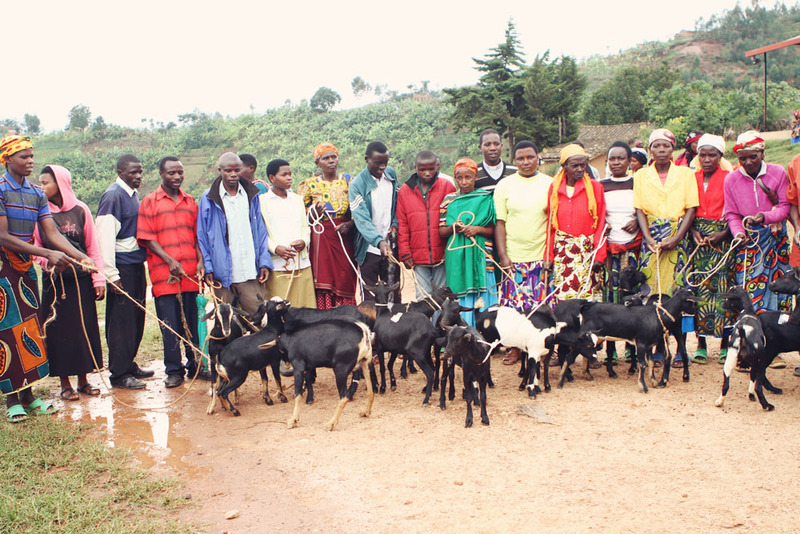 We also handed out goats to needy families. After 45 minutes on a winding dirt road, we made it to the village. It was near the top of a mountain, and it overlooked the most beautiful lake. It was one of the prettiest places that I have ever seen. Everyone drew a number, so that they would know which goat was theirs. As their numbers were called, they came forward to receive their goats. They were so excited for the gift of a goat. After everyone had received their goats, we prayed that God would bless these families and the gift that they had been given. This woman is a widow with 4 children. She was singing and dancing for joy after receiving her goat. She said, “Before this goat I had nothing in my house, not even a mouse.” Now, she will be able to use the goat for milk, cheese, meat, fertilizer, and some extra income for her family. She will be able to help pay for her kid’s schooling. She was also excited about buying a pair of shoes with the money that she will be able to make from the goat. turn a family around, and give them hope for the future!